Dan is a retired Air Force officer with over twenty-five years of Air Force comptroller and system development experience. Since retiring from the Air Force in 1996 Dan has worked as a Program Manager for a major Air Force financial management system and as an agency Group Manager. 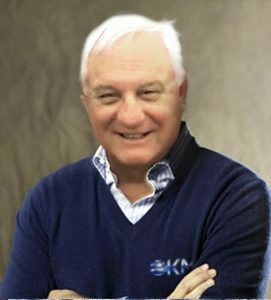 He is the founder, President, and CEO of Knowledge Management Solutions, Inc., located in Millbrook, Alabama. KMS is a $2.5 million company which provides support services to federal, state, and commercial clientele requiring Web technologies specifically geared towards performance metric model applications, business intelligence and reporting tools, computer repair, and education and training focuses. Dan is originally from Scott City, Missouri. He obtained his B.S. from Park College in Parkville, Missouri, where he majored in Business Management and Systems and Accounting. He earned his master’s degree from Webster University in St. Louis, Missouri, in Leadership and Management. Dan also holds a technical degree in computer programming and MIS technologies. 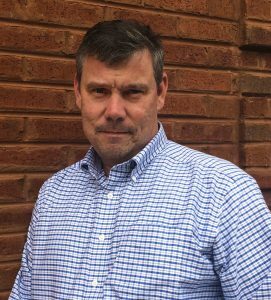 Matt is an accomplished senior graphic designer with over twenty-five years of experience in the management of the complete design process from conceptualization to delivery. He has extensive experience in web, print, multimedia, and video designs. Matt’s approach to design is a blend of strategy and creativity that begins with understanding a client’s goals and gathering information to understand a client’s aspirations and desired position in the market. His high creativity motivates and challenges him on every project as he continuously looks for innovative ways to communicate information whether he is working on a logo, a website, or a marketing collateral piece. Prior to joining KMS, Matt enjoyed working as a designer, art director, or creative director for Disney, Ringling Brothers, Siegfried & Roy, and multiple Fortune 500 companies. During his career Matt has been affiliated with the American Advertising Federation (AAF), the American Institute of Graphic Arts (AIGA), and The Art Directors Guild (ADG). Matt earned his B.A. from Huntingdon College in Montgomery, Alabama, majoring in communication design with a concentration in graphic and advertising design.